Mayor Rahm Emanuel, Chicago Public Schools CEO Forrest Claypool and Chief Education Officer Janice Jackson announced the first 28 principals who will participate in the Independent Schools Principal (ISP) program, which allows experienced, high-performing principals to run their schools with less oversight from Central Office and greater flexibility to innovate as they operate their schools. 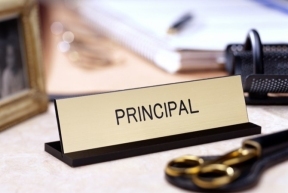 Participating principals will be exempt from network oversight and evaluation by network chiefs, and granted greater flexibility with regard to professional learning content, budgeting and purchasing for their schools. ISP principals will participate in pilot research through interviews and surveys, and participate in external site visits and the regular sharing of effective practices. They relinquish access to CPS’ network support and professional development – with the exception of CPS-mandated trainings; ISP principals can continue to access school support centers. Among the principals are Kathleen Hagstrom, Walt Disney Magnet Elementary School; Dr. Jorge Prieto Math and Science; Michael Boraz , Lincoln Park High School; Alfonso Carmona, Robert Healy Elementary School; Joyce Kenner, Whitney M. Young Magnet High School; Ruth Garcia, Emiliano Zapata Elementary Academy; Vicky Kleros, Manuel Perez Elementary School Barton Dassinger; Cesar E. Chavez Multicultural Academic Center ES; Elizabeth Alvarez, John C. Dore Elementary School; and Juan Ocon, Benito Juarez Community Academy High School.